Fearing the norovirus and the cold, Japanese athletes did not attend Wednesday's ceremony welcoming them to the athletes village. Hundreds more have been barred, and many have gone to court seeking entry and causing last-minute chaos. Woodland and his wife were expecting twins previous year when - in March - health complications led to the loss of one child. But it was Gary Woodland who shone brightest on Sunday, posting a total of -18 after a seven-under-par 64. But he denied that a Spirit employee recommended flushing her pet in an airport restroom. ".This is a situation where there weren't body cameras or anything". A spokesperson for the airline confirmed with the newspaper that Aldecosea was told she could take pebbles on the flight. Aldecosea agreed to take a later flight, but didn't have friends and family in Baltimore to accept Pebbles. "Ultimately, the airline didn't provide what they said they were going to provide for her". 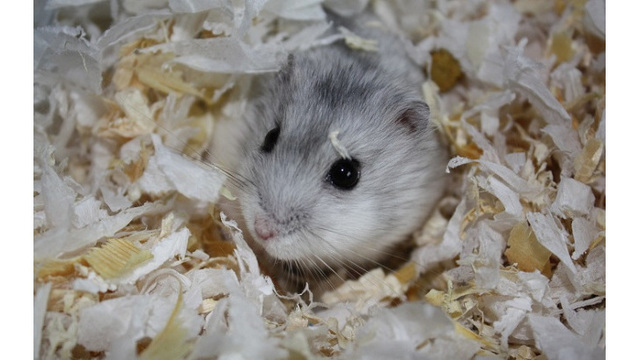 "We would be happy to screen a hamster", TSA spokeswoman Lisa Farbstein said. PETA senior vice president Daphna Nachminovitch told Fox News "one phone call" could have saved Pebbles. She decided flushing the animal was the humane option. Dombrowski said Aldecosea was originally scheduled to take a 10:39 a.m. flight on november 21 but ended up taking a flight at 7:42 p.m. instead. While the extent of Spirit's culpability can be debated, there's no question that Aldecosea brought Pebbles to the airport on the airline's explicit say-so, which in my mind gives Spirit substantial responsibility for finding a creative, non-fatal solution to the program. Aldecosea tried multiple times to get Pebbles back to her school safely. "She was terrified. I was frightened". The girl stuck her living, breathing, little fluff ball of a hamster in a toilet in the airport bathroom and flushed her straight to her grave. "I was enthusiastic. I was crying. I sat there for a good 10 minutes crying in the stall", Aldecosea recounts. Spirit has admitted that a representative did erroneously tell Aldecosea that her hamster could join her on the flight, despite the airline's "no rodents" rule. She said she didn't want her to freeze or starve to death, she made a decision to flush her living pet. The airline says on its website it doesn't accept snakes, other reptiles, rodents, ferrets, and spiders on its planes. PETA, People for the Ethical Treatment of Animals, said somebody ought to be considered responsible in the animal's passing. Aldecosea's lawyer, Adam Goodman, sees the cases very differently however. "This was profoundly distressing and individuals respond in a variety of ways", he said. A year later and she's considering legal action. "This was a tiny, cute, harmless hamster that could fit in the palm of her hand", he said. For hours, Aldecosea said, she struggled with what to do. He said they are looking at whether to document a claim against the aircraft. A version of the policies cached in September 2015 did not stipulate that those specific animals were not permitted, but it is not clear when the page changed to include that information.